As You Sow engages consumer packaged goods and grocery companies to take responsibility for post-consumer packaging waste, which will conserve natural resources, reduce energy use and greenhouse gas emissions and slow the toxic loading of our oceans with packaging debris. Check out our new initiative on Ocean Plastics! Companies need to take a leadership role in ending the destructive and outdated 19th century “make-take-waste” model of production and replace it with a 21st century circular “closed loop” model that will conserve our increasingly scarce natural resources. 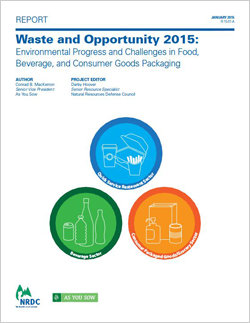 Packaging and paper products are a good place to start as it comprises nearly half of the U.S. solid waste stream. As earth’s last wild places are developed to obtain virgin packaging materials, billions of dollars of used packaging still litter our landscapes, pollute our oceans, fill our landfills, or are burned in incinerators. 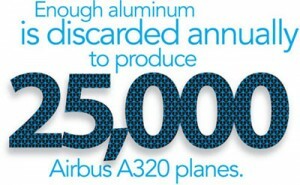 As You Sow is both challenging and working with many of the world’s leading corporations to develop corporate take back models in which producers take greater responsibility for the packaging they create and set far higher recycling goals, ensure greater recyclability of materials and use higher levels of recycled content. Chipotle, Dunkin’ Brands, and YUM! Brands made new commitments in the spring of 2016 toward packaging recycling and composting, leading As You Sow to withdraw shareholder proposals filed at the companies. Fast food brand Chipotle disclosed a 50% food and packaging waste diversion goal by 2020. YUM! Brands will adopt a diversion goal later this year, and Dunkin’ will report on the feasibility of a future recycling program for its coffee cups. Read the resolutions for Chipotle, YUM! Brands, and Dunkin’. Unilever agreed to make 100% of its packaging recyclable, reusable, or compostable by 2025. Target Corp. agreed to engage with its suppliers to phase out the use of harmful polystyrene foam for e-commerce packaging. Chipotle announced a 50% food and packaging waste diversion goal by 2020. Chipotle says half of food and packaging waste from its restaurants will be diverted from landfill through composting and recycling. It estimates 875 locations (nearly half) already offer front-of-house recycling options for at least one packaging item, and 138 locations are composting organics. YUM!, the world’s third largest fast food chain, which operates KFC, Taco Bell, and Pizza Hut, said it will issue a food and waste diversion goal later this year; the goal is expected to focus on cardboard packaging, used cooking oil recycling, and food donation. Colgate-Palmolive pledged to phase out non-recyclable packaging in three of four operating divisions by 2020, and to use 50% recycled content in packaging. The company will also conduct research into making the first recyclable toothpaste tube, which if successful, would address its fourth operating division. McDonald’s pledged a 50% waste recycling rate at locations in its top 9 global markets by 2020. It will focus first on back-of-house recycling and then front-of-house recycling. P&G pledged to ensure that by 2020, 90% of product packaging is either readily recyclable or a made of material for which it has developed a viable recycling program. McDonald’s and Dunkin’ Donuts agreed to stop using polystyrene foam hot beverages cups at their restaurants. Keurig Green Mountain agreed to make K-cups recyclable by 2020. One promising model we are promoting involves shifting financial responsibility for collecting and recycling used packaging in the U.S. from taxpayers to producers through a policy known as extended producer responsibility (EPR). 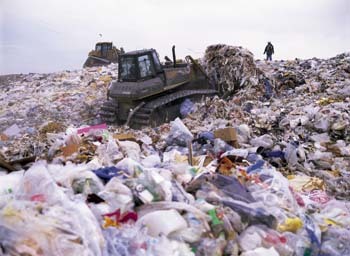 We believe adoption of EPR policies will incentivize producers to reduce the amount of packaging they create, substantially increase recycling rates, provide much needed revenue to improve efficiency of recycling systems, reduce carbon footprint and energy use, and reclaim billions of dollars of embedded value now buried in landfills. We are not opposed to considering other policy options, but outside of the beverage industry, most companies have shown little to no leadership on improving our poor package recycling rates and outdated and inefficient collection practices. Companies need to make this a priority now. Post-consumer paper and paperboard and packaging consists of valuable commodities such as aluminum, glass, paper, plastic, and steel. 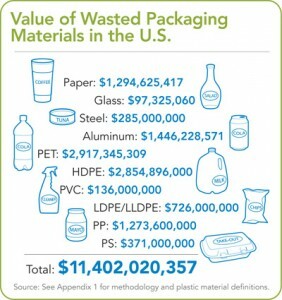 As You Sow estimates that the market value of packaging materials not recycled in the U.S. was $11.4 billion in 2010. It is not good business practice to throw away valuable resources. Businesses that do not develop sustainable sourcing of products through resource-efficient circular, or closed loop, systems in the near term will not be able to compete to serve a world population estimated at nine billion by 2050. For more information, see our recent report making the case for EPR. EPR would require companies to internalize packaging recycling costs unfairly borne for decades by taxpayers. It has been successfully adopted in Canada and Europe, diverting large amounts of plastic, glass, metal, and paper away from landfills into recycling streams that conserve resources. 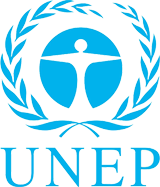 According to new report from UNEP, use of plastic in the consumer goods industry causes $75 billion per year in environmental harm to natural ecosystems. A second compelling reason to press for producer responsibility for packaging is its link to the growing problem of plastic pollution of the world’s oceans which clogs waterways, damages marine ecosystems, and impairs the marine food web. Non-recyclable packaging is more likely to be littered than recyclable packaging. Greenpeace estimates that of the 280 million tons of plastics produced annually, about 10% enters the ocean. Huge gyres of swirling plastic particles have been identified in the Atlantic and Pacific oceans. Researchers estimate that 73 million pounds of plastics circulate in the gyres, spread across about 16 million square kilometers of ocean surface. Now there is emerging evidence that plastic particles from wasted plastics including packaging in the marine environment can absorb and spread toxics through the marine food web and possibly to humans. Recent studies by U.S. Environmental Protection Agency Region 9 suggest a synergistic effect between persistent, bioaccumulative, toxic chemicals and plastic debris. Plastic particles swirling in gyres can absorb toxics such as polychlorinated biphenyls (PCBs) and dioxins from ocean water or sediment and transfer them to fish and other animals and potentially to human diets, essentially forming a “toxic cocktail” increasing the risk of adverse effects to wildlife and humans. In 2014, we will engage companies to phase out non-recyclable packaging whenever possible as a first step to reducing the amount of plastic debris released into oceans.